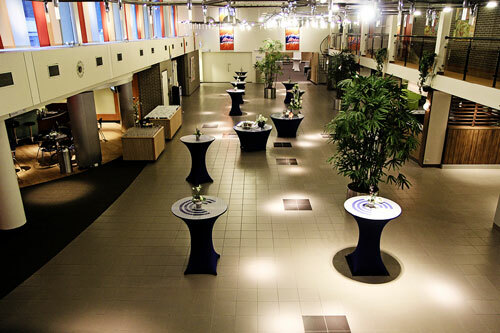 The conference will be held at the Congress Centre 'De Werelt' (Westhofflaan 2, Lunteren, The Netherlands). This venue provides spacious rooms for parallel sessions, a large hall for poster presentations and a beautiful lounge area to interact with colleagues and corporate sponsors. 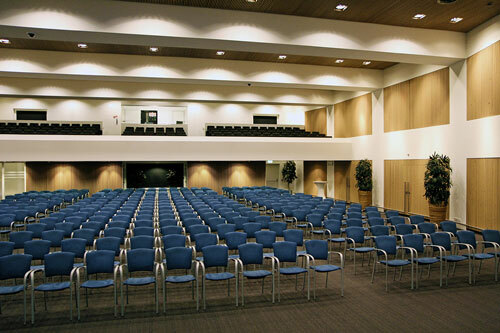 Accommodation is provided within the Congress Centre itself. The structure offers 127 rooms (7 single and 120 double rooms). Due to this limited capacity, participants are strongly encouraged to adopt room sharing. It is cheaper and permits more of your colleagues to be accommodated on site. Should the Congress Centre become overbooked, the organisers will arrange alternative accommodation at nearby structures. By train you can reach Lunteren, without change, from NS railway station Utrecht (via Amersfoort) and from NS railwaystation Ede-Wageningen. From the railway station in Lunteren, it is possible to walk to 'De Werelt' in about 15 minutes. If you’re arriving with the train from Utrecht/Amersfoort turn to the right, walk across the carpark direction sauna and walk to the left on the Boslaan. On the crossroads turn to the right to Molenweg. Turn the first road left to the Westhofflaan. At the end of this road you’ll find 'De Werelt'. If you’re arriving with the train from Ede-Wageningen turn left over the level crossing, walk across the carpark direction sauna and follow the instructions as indicated above. If you prefer a taxi from the NS railway station at Lunteren, you may call Taxi Lunteren, number: 0318-484555. On your request, 'De Werelt' is also willingly to arrange a taxi for you. N.B. Alternatively, because of specific train schedules, it may be simpler and quicker (although slightly more expensive) to leave the train at Ede-Wageningen and take a taxi to the venue.